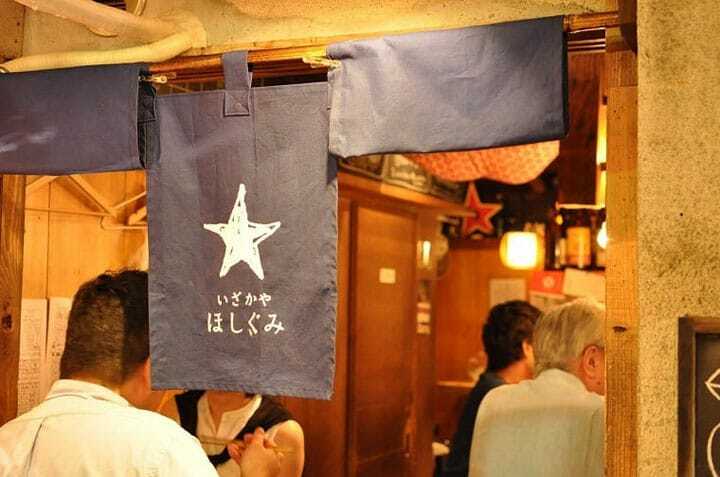 The curtain-like fabric that hangs in front of traditional Japanese restaurants and shops not only serves as a signboard, but holds a larger meaning. When traveling around Japan, you may find a vertical fabric hanging in front of the entrance of stores. That fabric is called the noren. In this article you will get to know more about the noren, an item unique to Japan. What is the Purpose and Meaning of the Noren? The noren was originally made to protect the house from the rain and wind. It also kept the house warm on cold days and created a shade during the hot summer days. However, lately it serves a larger purpose and meaning. Many of the noren contain names of the shops or symbols that represent the shop, called the yago (*1). It is used like a main signboard for a shop and this yago represents the trust and the class of the shop itself. Furthermore, when a long-term disciple of the shop leaves to become an independent worker, they are granted the privilege of using the yago to show that the disciple's shop has taken on the master's traits. In Japanese, when the disciple receives permission to become independent, the term used is noren wake or "the sharing of the noren". Now can you see why the noren holds such importance to shops? *1 Yago: a prestigious title for businesses or kabuki actors. What Can You Understand from the Noren? The noren is frequently used at the entrances of shops that provide a Japanese-inspired service, such as izakaya, small eateries, Japanese cuisine restaurants, Japanese goods shops, and even tea or seaweed shops. Did you know that just by looking at the noren, you can see if the shop is open or not? When the noren is hung across the entrance, it means it is in business. However, when there is nothing hung, it means it is closed. Among the Japanese, it is also a commonly said that "if the noren is dirty, the shop is in good business". The reason is that a busy shop will have many customers touch the noren, thus making it dirty. At the entrance of a hot spring, a noren is hung in front of the changing room to decipher between the genders and also to protect the privacy of people as well. In some houses, people use the noren as a room divider as well. For instance, the noren is used to hide the used dishes in the kitchen, so it cannot be seen from the dining room. It is also used to keep the warm air from escaping from one room to another during the colder months. The noren is so frequently seen in Japanese society that it has given rise to some idioms of its own. For example, the phrase "noren ni udeoshi" means "to push the noren with your arm". This is a metaphoric way of describing a waste of time or effort, similar to the English saying of "beating the air" or "catching the wind with a net". The reason behind this is that the noren hung in front of stores tend to be very flimsy, so it doesn't make sense to push against it with force, as the effect will be the same as if you simply walk past it. Nowadays, the noren is used in many restaurants, small businesses and even in some households. Many colors and designs such as basic Japanese patterns, "Hello Kitty", "My Neighbor Totoro", anime characters, famous poetry or artworks, or even western patterns to match a western-style room. You can even select the sizes or even customize it in some shops to accommodate the atmosphere of your room. The noren is also great as a souvenir. The prices can vary from a few hundred yen to upwards of 3000 yen. It is also very light, so packing it into your luggage won't be much of a problem. You can purchase noren at specialty shops, most souvenir shops and even online. Why not take a noren with a pattern of your choice back as your next souvenir from Japan?